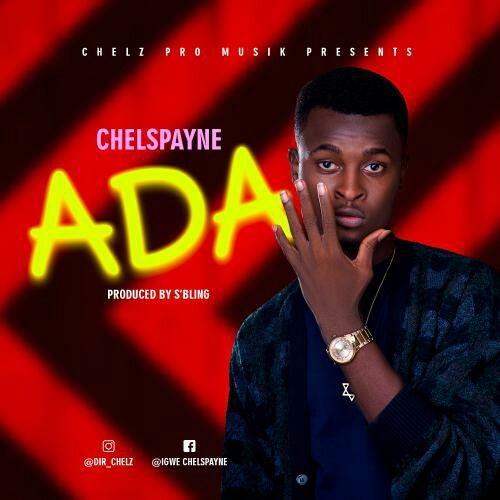 The trending controversial song by Chelspayne Title “ADA” Produce by Nigeria Ace Producer S’Bling, Mix and Mastered by Dopemix. Chelspayne is a fast rising Afropop sensation. He hails from Ebonyi state Nigeria but born and had his early life in Lagos. Chelspayne is about to infuse more life into the already bubbling Nigeria music industry as we awaits video of his banging single “ADA”. Chelspayne presented this catchy tune for your lovers one, and we believe that this song will also gain Nigerian top airplay coming weeks. Listen & Enjoy “ Chelspayne ADA ” below.